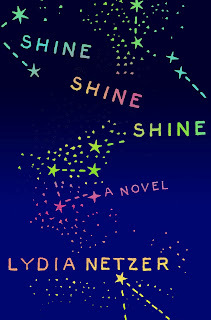 Today we welcome Lydia Netzer and her debut novel SHINE SHINE SHINE. Lydia was born in Detroit and was educated in the Midwest. 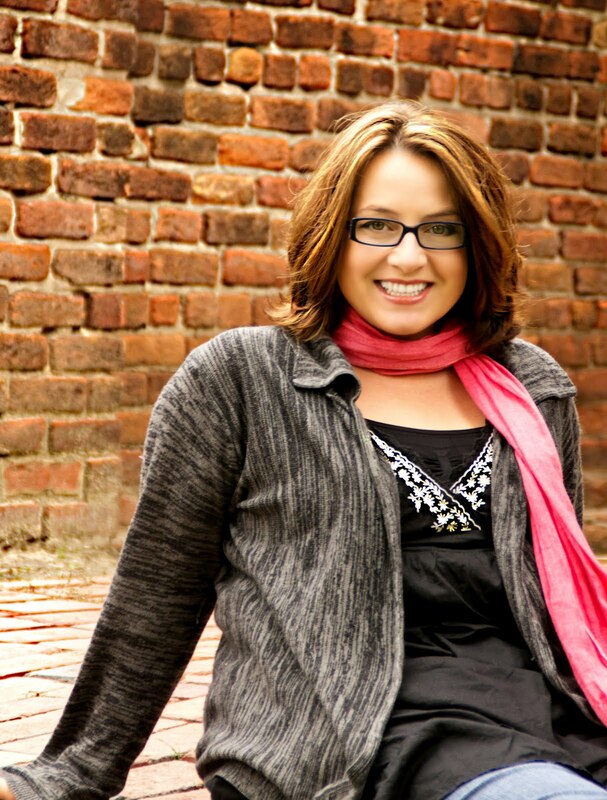 She lives in Virginia with her two home-schooled children and mathmaking husband. When she isn't teaching, blogging, or drafting her second novel, she writes songs and plays guitar in a rock band, The Virginia Janes. Talk about fitting in with this month's theme right?!? Thanks to St. Martin's Press, we have FIVE copies of "Shine Shine Shine" to give away to some lucky readers anywhere in the US and/or Canada. Visit Lydia at her website, blog, Facebook and Twitter pages. My favorite music is girl rock -- I love P.J. Harvey, Throwing Muses, Kirsty MacColl, and The Muffs! 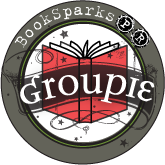 More recently I am enthralled by Imogen Heap, Dar Williams, Missy Higgins. I love "Come What May," sung by Ewan MacGregor and Nicole Kidman from the movie Moulin Rouge. I love the simple transparency of the words, the mad abandon with which they sing it, and everything about it. There was no dancing at my wedding! My fundamentalist parents would have had some sort of nervous breakdown. Had we danced to a song, it would have been "Noah's Dove" by 10,000 Maniacs. Because we were like in love and stuff. My go-to song for karaoke is "Don't Cry For Me Argentina," Madonna's version, and I don't have to be forced. Best music video of all time, by far, is "Man-Size" by P.J. Harvey. Right about 1:10, she begins to school the world on how to rock. My favorite country song is "Until Now" as performed by River Phoenix in the movie The Thing Called Love. This movie also had Samantha Mathis, Sandra Bullock, and Dermot Mulroney. Why has no one ever seen it? The version of this song that's on the soundtrack is crap. But the version in the movie, for some reason, is gorgeous. Okay, this is completely unreasonable and only connected to memories that are attached to playing pit orchestra for this musical, but I have to say it's "I'll Never Say No To You" from The Unsinkable Molly Brown. Thinking more rationally, I'd have to say "I Am The Model of a Modern Major-General" from The Pirates of Penzance. Yes, that's much the better answer. What song are you proud to know all the lyrics to? Well, I don't know all the lyrics to "Modern Major-General," that's for sure! Probably I'm proudest I can sing "Here and Now" by Letters to Cleo (another great karaoke choice, by the way). I also used to dress just like that in the 90s! Cut offs and black tights, boots, ponytails, the works. Special thanks to Lydia for rocking our world and to St. Martin's Press for sharing "Shine Shine Shine" with our readers. 1. Please tell us: What is your favorite song from a Broadway musical? US/Canada only. 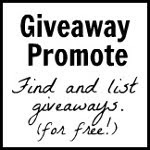 Giveaway ends August 5th at midnight EST. 1. My favorite song from a Broadway musical is "A Heart Full of Love" from Les Miserables. 2. 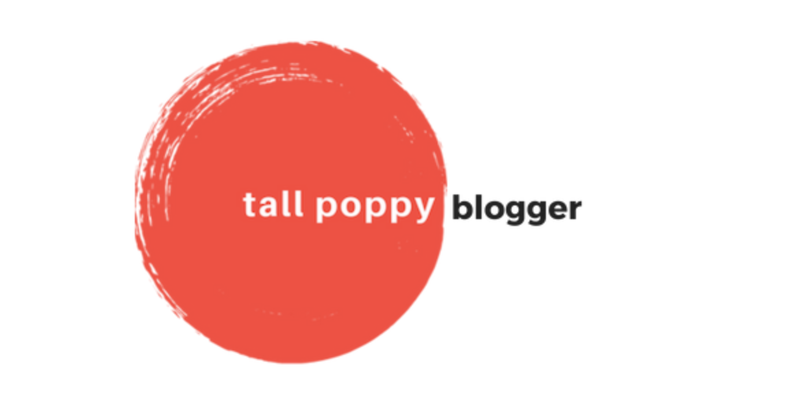 I do follow the blog. 3. I follow you on FB an Twitter (@VivaAmaRisata), and Tweeted about the contest. Great interview! I have to check out PJ Harvey! I follow CLC on Facebook, twitter, and the blog. I've always been a sucker for South Pacific. "Dites-Moi" or "Honeybun" are ingrained in my inner voice choir. 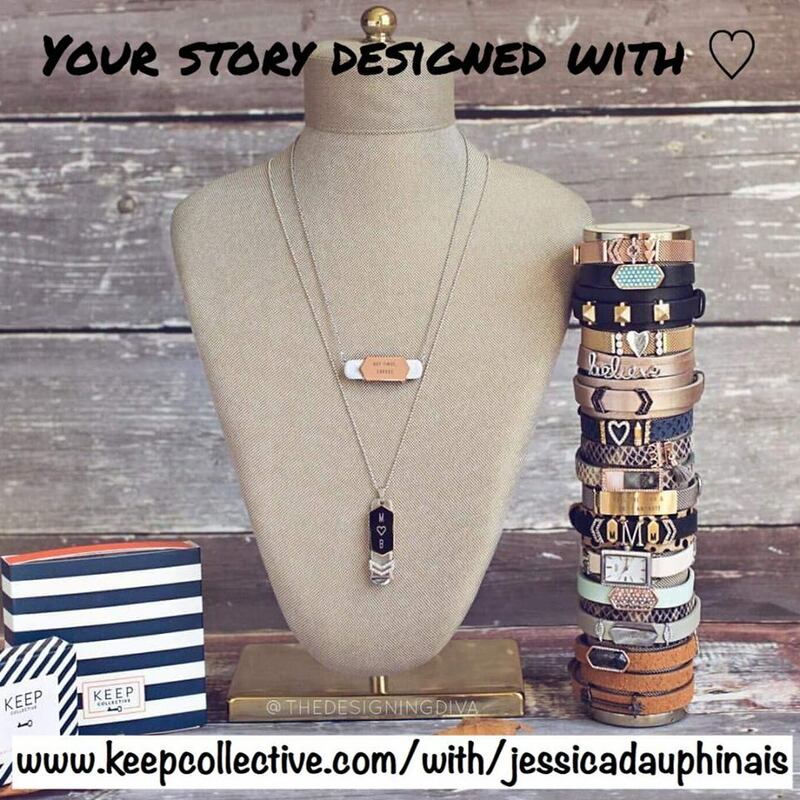 I am following the blog, tweets and FB. Mama Mia is my FAVORITE Musical...I love the entire soundtrack! I follow the blog, on facebook and twitter! "On My Own" from Les Miz....makes me cry every time I hear it! 4. I'm already a member of Chic Lit Central on facebook. I love Oh What a Beautiful Morning from Oklahoma! It is filled with so much hope. I follow on GFC(mamie316) and on Facebook and Twitter. Crazier Than You from The Addams Family. 2. I'm already a GFC follower. 4. 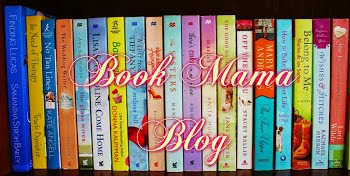 Join Chick Lit Central on Facebook as Lilian Cheng. Modern Major General Song from The Pirates of Penzance. I like the "Dancing Queen" dance party at the end of Mamma Mia! First of all, this may be my favorite CLC author interview ever. I LOVE the movie The Thing Called Love. Love it. My friends and I watched it over and over in college. I feel so validated that is is a fave of someone with such cool taste in music (assuming it's cool since I don't recognize the names of any of the bands in the first question). My favorite song from a Broadway musical is Tell Me on a Sunday. Second favorite is Bring Him Home from Les Miserables. I once heard Barry Williams of the Brady Bunch sing it. Happy memory. I would tweet about the contest if I knew how to do that thing where you shorten your links. Forgot my email -- oops! and I am part of the FB club. Don't Cry for me Argentina from Evita. Favorite Broadway song from a musical: "I am Going to Wash that Man Right out of my Hair"From South Pacific. I follow on Google RSS, Facebook(CLC Group) and shared on Facebook. Defying Gravity from Wicked! I get to see Idina Menzel in concert on Friday - cannot wait! I'm a follower here, Twitter and FB. 1. Favorite Song is a tough one, maybe Seasons of Love from Rent or almost all the songs from Evita. My favorite Broadway son is I Don't Know How to Love Him. My Favorite Things from The Sounds of Music. Love that movie! 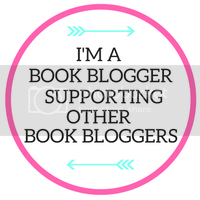 I am a CLC FB and blog follower. My favorite is "Can You Feel the Love Tonight" from the Lion King. Maybe anything from Les Mis. It's such a powerful musical. Favorite Broadway song? Are you kidding? That's like Sophie's choice! But one I always go to is "If I Loved You," from Carousel. My favorite Broadway song is Papa can You Hear Me? from Yentle. 1. "Surrey with the Fringe on Top" from Oklahoma! 2. New follower, new follower! 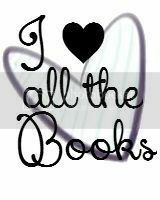 This is my fave author interview ever: I love 'The Thing Called Love'- Dermot Mulroney and River Pheonix, yes please! My music loves fall in line with yours, PJ Harvey is on frequent play on my runs. 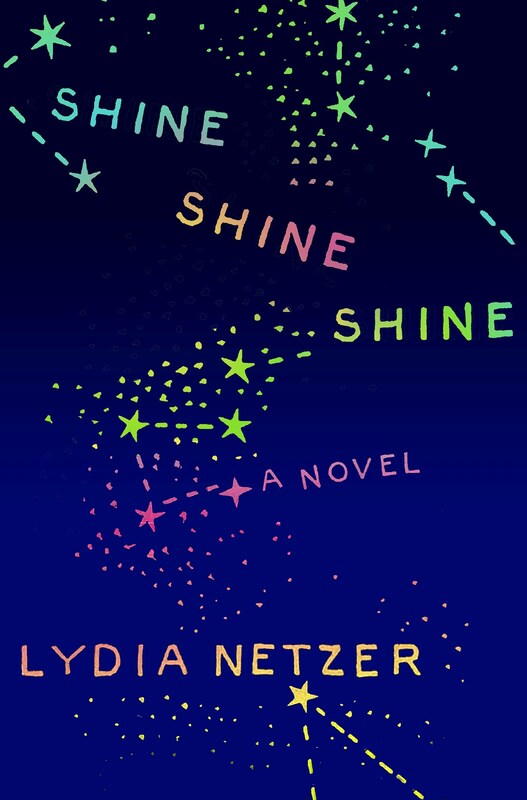 I can't wait to read 'Shine, shine, shine'- thanks for the chance to win!